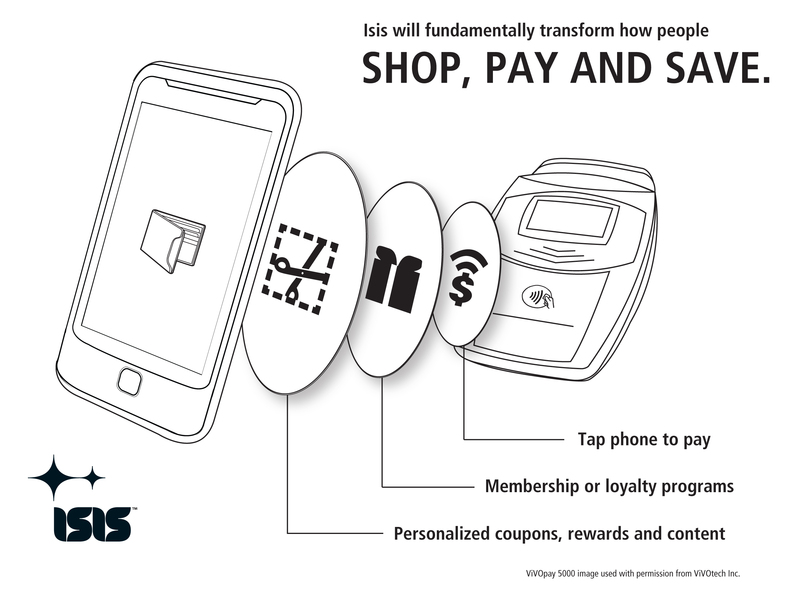 Isis – the NFC mobile payment system that was started by Verizon, T-Mobile, and AT&T – received its first banking partners today, along with a product name and some details on how they plan to roll out. The product will officially be called Isis Mobile Wallet and will welcome in Capital One, Chase and Barclaycard as their first card partners. Since they already secured Visa, Mastercard, American Express and Discover, it’s now up to the rest of the banking industry to give their cards the thumbs up. Not familiar with Isis? Again, this NFC-based mobile payment system was created by Verizon, T-Mobile and AT&T with hopes of making NFC and mobile payments a common practice. They fell under scrutiny a couple of months ago when it was discovered that Google Wallet (a direct competitor) was not accessible on the Verizon Galaxy Nexus. Most pointed fingers directly at their Isis product as the reason why Wallet was not allowed on the phone. Verizon denied that they were blocking it and that it had anything to do with Isis. So far though, we have not heard any of Isis’ plans to actually produce a product that we can use. According to their press release today, we should see the first markets go live some time in mid-2012. The first two cities to get access are Salt Lake City, UT and Austin, TX with a nationwide rollout happening soon after. No matter what, this is amazing news for the NFC industry. With these 3 carriers behind it, all of the major credit card companies, and a first batch of banks, mobile payments will soon be in your lives. NFC chips are becoming more common in newer phones and by the end of the year or early 2013, you may be ditching your wallet after all.